And just like that Christmas is over. You must be ready for the New Year. ...and still working on our new years eve menu while trying to finish all the leftover food from last Christmas dinner. We still have some of this delicious Menudo in the fridge. I cooked about a kilo and that's a lot for a family of four but it was actually done on purpose. Menudo is Philippines traditional meat stew. It can be pork, beef or chicken. Unlike its counterpart in Mexico that uses tripe and chili, our Menudo dish uses lean meat, some pork belly, and liver. Menudo is not an everyday dish. It is mostly cooked for special occasions like birthdays, baptism, fiesta and yes Christmas or New Year. It's a pity that I'm not able to attend many wonderful events lately. Not that I don't want to, but because I can't. there are some fabulous events that fit perfectly with my schedule like the one I attended just recently at Sheraton Dubai Creek. It was an event I wouldn't want to miss. I could not help but to feel festive as I enter Sheraton Dubai Creek. Up until I reached the entrance of Vivaldi by Alfredo Russo, fully dressed up in pink baloons and silver ornaments. Suddenly my mood shifted, to more of a ladies night party mood. 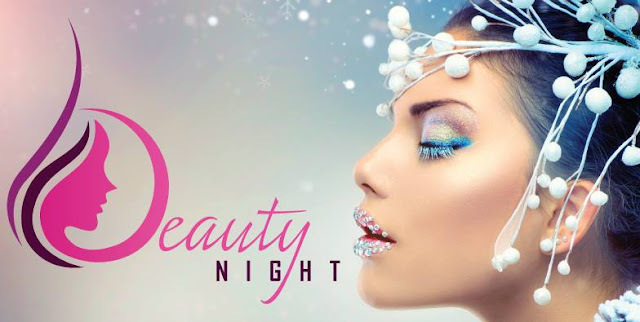 it's the sixth and grandest edition of #SheratonDXBeautyNight hosted by Vivaldi by Alfredo Russo Restaurant and Lounge. It was a beauty night dedicated to all ladies from Dubai, inspired by beauty lifestyle. and some live entertainment by Dubai Drums. Glamour nails salon & spa are the ones who did my beautiful rose gold chrome nails. Perfect for the holiday season so you can, instead of shine, sparkle. Beauty On Click app was also launched. Available on App Store Store and Google Play. 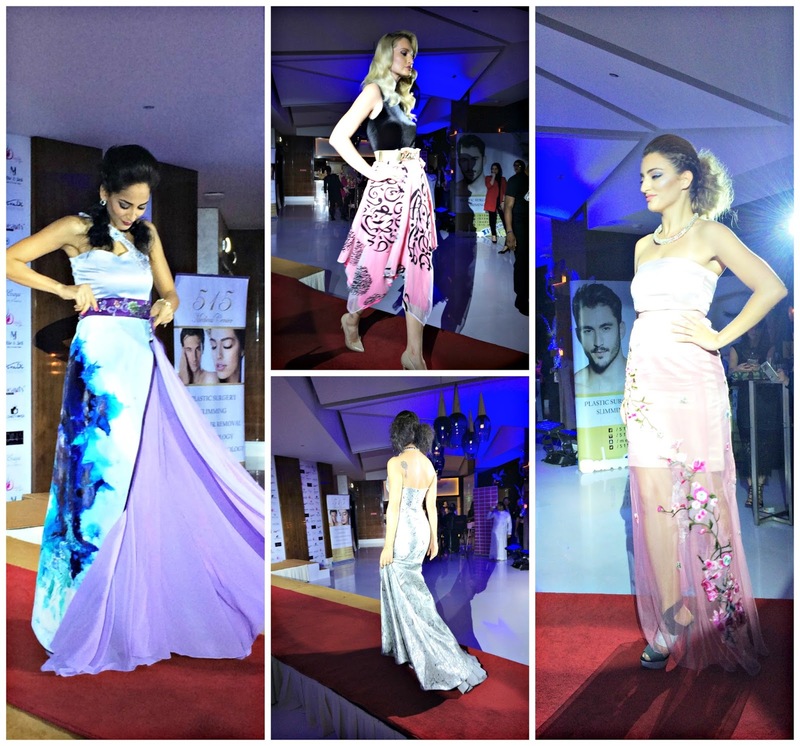 Ladies who downloaded the app during the event enters a raffle draw and get the chance to win fantastic prizes. I got lucky to received a notification and won a beautiful set of Kardashian Beauty Haircare products. The night was livelier as guests swayed and danced to the beat of Dj Amer Sallah R&B and HipHop remixes while free flowing beverages are available for ladies. Thank you and Congratulations to Vivaldi by Alfredo Russo and Sheraton Dubai Creek! It was a lovely evening of glamour and beauty. It is easy to locate it as it is just exactly opposite City Walk. Just think of blue water tower. The new Al Khazzan Park runs on full solar energy, thanks to the solar energy collected from the sun through an area of more than 400m2 of PV panels. The energy collected provides electricity for the building, automatic irrigation systems and park lighting at night. When we learned about the permanent closure of Jumeirah Beach to make way for the Dubai Water Canal Project, we were saddened. It's one of our favorite beach parks in Dubai. 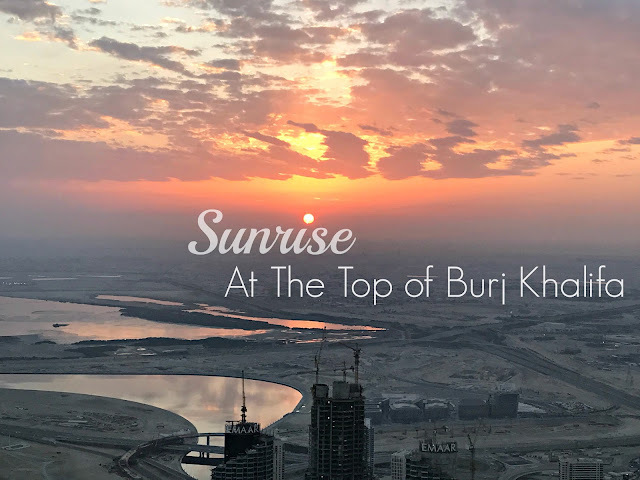 Fast forward to today, we are happy to see the project came to being and now has become another popular (still shaping up) and newest destination in Dubai. Knowing that Jumeirah Beach is undergoing re-development makes us all the more excited. I am sure it's going to be bigger and better than ever. Dubai Water Canal Project is an extension of the Deira Creek linking Business Bay to Arabian Gulf. The part where you can find the pink waterfall is called the Crystal Lagoon and the land soon to be developed along the canal is called the Public Realm. We found ourselves at Morelli's Gelato Dubai Mall branch the other night with a big appetite for ice cream and decadent desserts waiting to be satisfied. Morelli's Gelato is an ice cream parlor with the white and unmistakable violet decor at the lower ground of The Dubai Mall with a beeline of giddy ice cream lovers. Morelli's Gelato is an institution. Founded in 1907, they've been serving Italian ice creams for five generations. In Dubai, we are lucky to get three branches. The other two is in Mall of the Emirates and Jumeirah Beach. While I was booking our hotel in Puerto Princesa, Palawan for our vacation last July, I asked my friend who owned a travel agency who also arranged the airline flights and guided tour for us, to give me several options. As thorough as I know he is, he came up with some of the luxurious hotels as well as cheap / budget hotels in Puerto Princesa for me to chose from. I know that we will be mostly out and about exploring so budget hotels are a great option for me. It was a family trip with my mother-in-law (MIL) so I wanted a budget hotel without compromising the cleanliness, location, comfort and service for our 3 days 2 nights stay. I read good reviews about Casitas De Az Pension that's why I didn't hesitate to give it a go. One of the favorite things we like to do in this time of year here in Dubai is to go on a desert camping. Imagine full day sun, clear blue skies, cool breeze, .00001 percent chance of rain while in a beautiful desert landscape. It's a camper's dream. Same time last year, we camped at Al Aryam Island in Abu Dhabi, also a perfect camping spot. This time around, we didn't go far. We drove just 45 minutes to Al Qudra Lakes inside Saih Al Salam Desert, on the outskirts of Dubai. We used Waze app to get there. The only problem was, once you reach the area, it was difficult for the app to help you navigate. We were already going in circles, good thing we luckily found our friends who came early to set up camp. It was dark as there is no lamp post, there is no signage either so it is easy to get lost. It is advisable to come before dusk and if you are in a convoy, be sure to stick together.